Its Monday so its time for a nail post.! Yes its been way too long since we last talked claws in fact our last #ManiMonday was all about how I do my own acrylics. Todays nails was done on my 3rd set of acrylics so needless to say they look a lot better than last time. 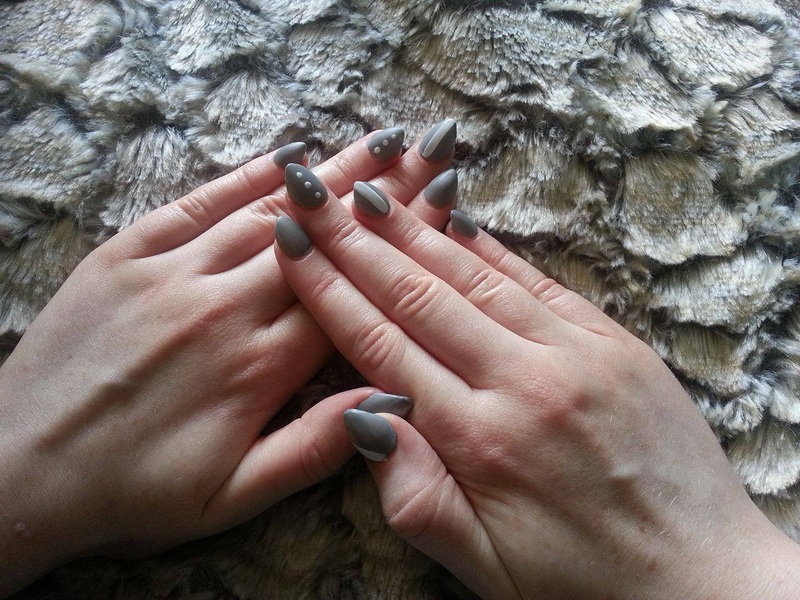 I have gone for a shape that I never wore before a 'mountain' shape (yes I did just google that) and Im actually really loving it. I built these with the pink powder that came in my starter kit that you saw in my last #ManiMonday but I must say that this 'pink' is just clear with the tint of pink. However this doesn't bother me too much as I always cover them with a polish. I was at my sisters house during the week and while I was there I raided her nail polish stash and came home with these. 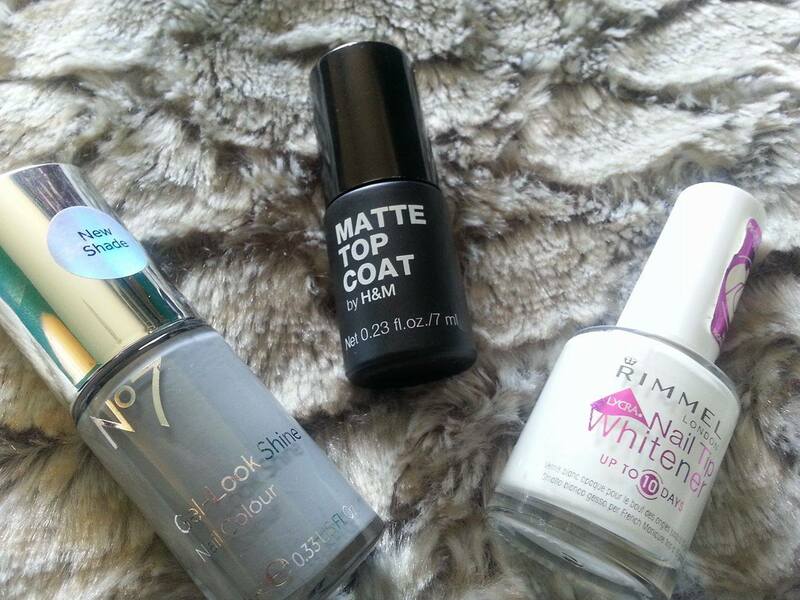 I really like the nail polishes by No.7 lately and this grey colour in the shade 'Grey Mist' just spoke to me.! 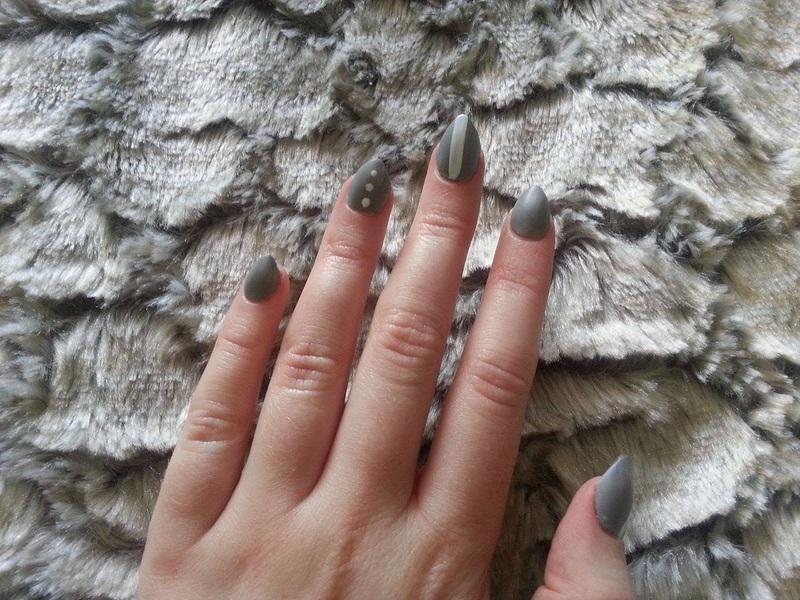 Can you tell Im loving grey at the minute? My theme for both here and my insta is grey.! To mix this up a little I added a Matte Top Coat from H&M. I never used one before and was a tad skeptical but I was happily surprised at the results. 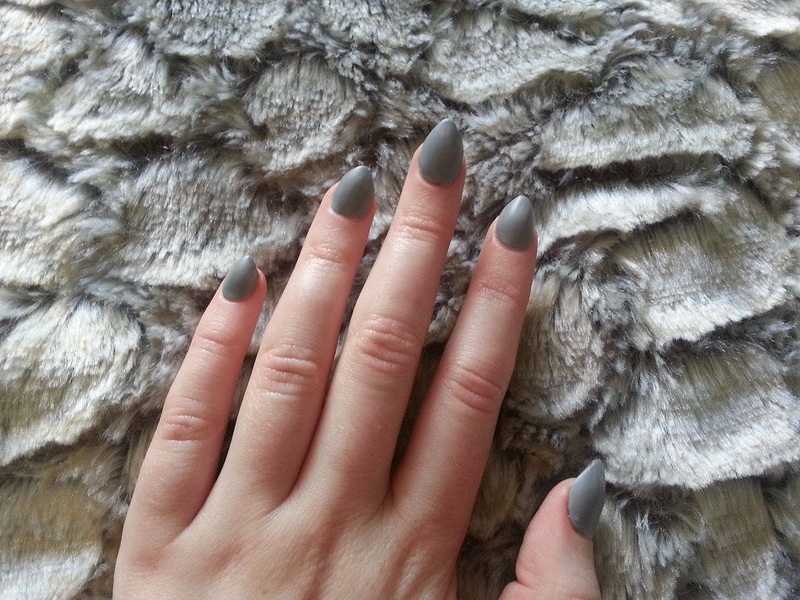 It turned my shiny grey polish into a lovely matte base for the next step of these cute claws.! Using the Rimmel 'Nail Tip Whitener' I created this simple stripe and dot design. This polish is designed to be used for a french manicure look as it has a thin skinny brush but I decided to use this to my advantage.! I done one stripe on my middle finger (trust me even if you dont have a real steady hand when it comes to this sort of thing the brush makes it almost impossible to mess up). I also done a diagonal stripe on my thumb and added some dots to my ring finger. These dots were also just done with the brush... no need for a dotting tool or anything like that. I done the same design on my other hand just swapping around the design on my ring and middle finger. As we mattified the grey base this white design looks super shinny in contrast. This would look really nice on the natural nail too, I know not everyone is a fake nail addict like me.! We all know by now Im obsessed with nails and Im loving doing my own acrylics so much that this year I really want to learn how to do them properly/safely and get certified so I can go out and do acrylics on you.! Ive been thinking about it now for quite a while and its time to turn my thoughts into actions! 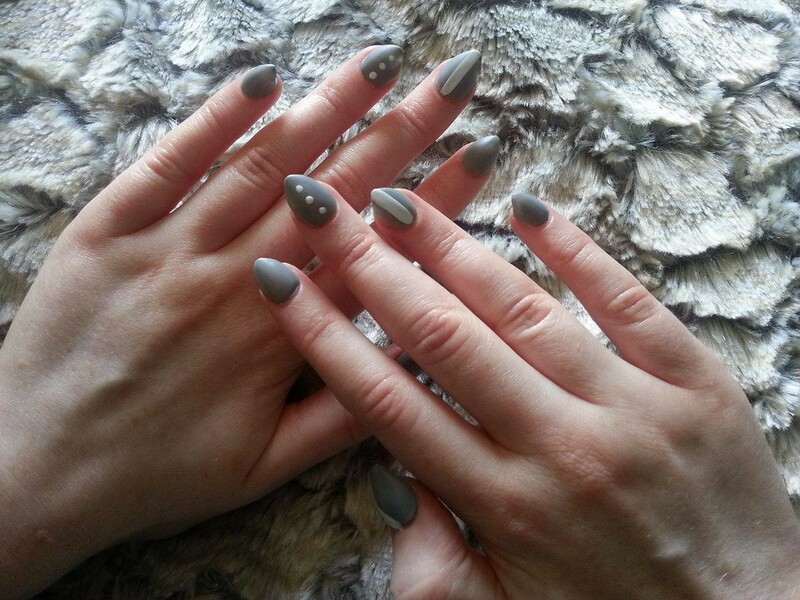 So hopefully in the future I'll be show casing some of my designs on future clients here on #ManiMonday.